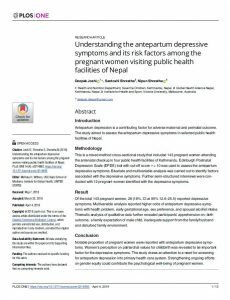 International evidence suggests that improving the quality of obstetric care can directly reduce maternal and neonatal deaths. 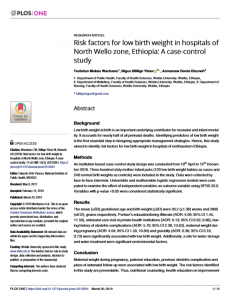 Accurate and reliable data are needed on the quality of services provided at health facilities in Ethiopia, especially for complicated deliveries involving postpartum hemorrhage, pre-eclampsia/eclampsia, and newborn asphyxia. 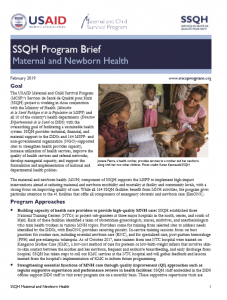 With support from the United States Agency for International Development (USAID), the Maternal and Child Health Integrated Program (MCHIP) partnered with Ethiopia’s Federal Ministry of Health and the Ethiopian Society of Obstetricians and Gynecologists to conduct a quality of care survey during March and April of 2010 to assess the care received by mothers and newborns during antenatal and delivery care. 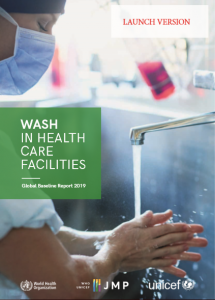 The quality of care (QOC) survey was fielded in the 19 Ethiopian hospitals with the heaviest volume of deliveries in (at least five births per day on average). 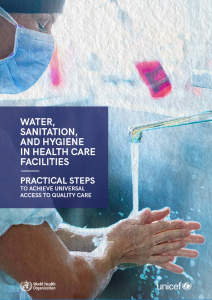 Five tools were used to gather data during health facility visits: (1) a facility inventory, which recorded the availability of critical drugs, supplies, equipment, and infrastructure; (2) a structured clinical observation checklist for antenatal care (ANC) consultations; (3) a structured clinical observation checklist for labor and delivery (L&D) and obstetric and newborn complications; (4) a structured health worker interview guide and knowledge tests on labor and delivery practices, including management of labor complications such as postpartum hemorrhage (PPH), preeclampsia/eclampsia (PE/E), obstructed labor, and essential newborn care and resuscitation; and (5) a national policy and drug review tool. 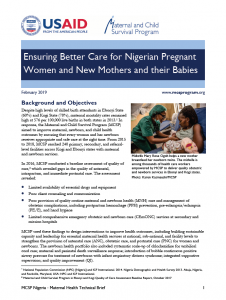 The primary objective of the survey was to determine the frequency and quality of interventions that address direct causes of maternal and neonatal deaths and to guide the need for and content of QOC improvement activities for maternal and newborn care at all hospital levels. 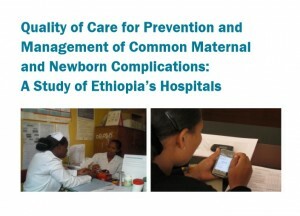 The results of the survey will be used to inform and guide the national program and policies responsible for quality improvement in the ANC and labor and delivery, and immediate newborn care key interventions mentioned; they will also provide baseline estimates of the quality of these interventions in Ethiopia and other countries.